Our website editing services make growing your online presence easy. Consumers often measure a business by the quality of its website. Web-friendly writing and an easy-to-follow flow encourage return visits. And strong editorial review can enhance your presence on the web. We understand how effective writing leads to successful search results, and we’ll help bring that success to your business. Submit your document, and Elite Editing will edit your website’s copy while taking into account SEO, navigational clarity, brand consistency, and the overall user experience. Get better results with our customized website editing services options. Whether you’re creating a website from scratch or updating an existing website, you know that these days, content is king. Search engines favor sites that constantly provide fresh content, from a blog article to an expanding social network. You need the expertise that professional editors and writers provide—but you don’t need the overhead of an on-staff editorial team. Our website editing team gives you the benefits of having access to professional writers and editors when you need them, without the overhead. And we fit seamlessly into your team and processes, so there’s no ramp-up time. Contact us if you’re interested in hiring us. Pay only for the website editing services you need, when you need them. Let our web editing team optimize your site to maximize your visibility and online presence. Get timely writing and editing support when you need it, from a staff that works for you all day, every day. Understanding search engine optimization (SEO) and marketing (SEM) are half the battle when building a website or blog. Our online editors have a firm grasp of how to improve website visibility, and they will apply their knowledge to your website’s text as they edit and proofread. Statistics show that the average user spends only a few seconds on any particular website. What you say—and how you say it—makes all the difference in whether or not the reader will stay or “bounce” to another site. Let our editors proofread and optimize your web copy to improve your site’s results. 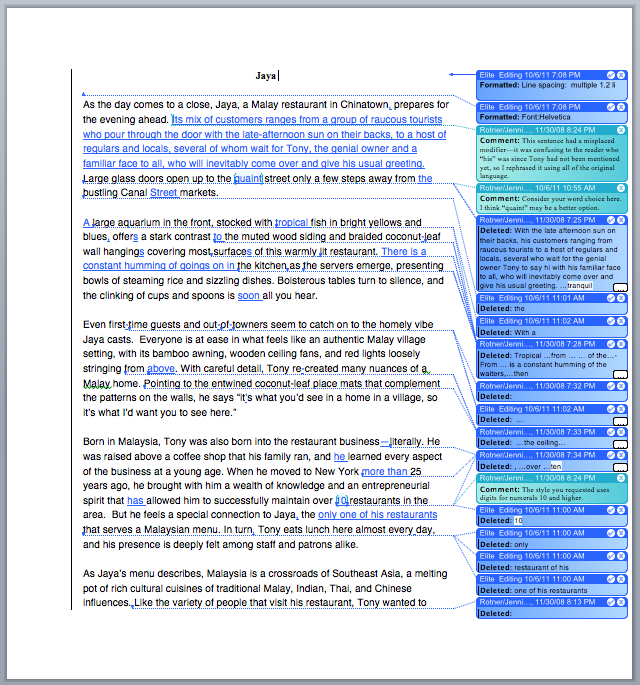 When you Submit Your Document, choose our Advanced Editing services for a more thorough review. In order for your website to be successful, it must be easy to navigate so that users will feel at ease as they browse. Let our professional online editing staff review your navigational structure and uncover any weaknesses and flaws before your site goes live. Beyond proofreading and editing for content, correctness, and flow, we’ll research the applicable keywords per page and apply them seamlessly to your copy so that your website is appealing to both readers and search engines. We will also optimize your headers and anchor text (linkable text) to improve functionality and increase visibility. Growing your social network is a necessary component of a successful online business, and it often takes the constant upkeep and attention of a dedicated team member. Let our web editors and writers give you the editorial support you need to grow your Twitter, Facebook, Google+, and other social networking profiles so you can focus on your more pressing business needs. The best way to keep a website fresh in the eyes of both search engines and visitors is to write and post new articles to your site or blog. This is a great way to expand your reach online, establish yourself or your business as an authority in your field, and reach new potential clients. Let us take this important but time-consuming step off your hands with our blog writing services. You give us the subject and we’ll provide a writer with the expertise and background to cover your topic in a clear and compelling way. Submitting your articles to free directories and content sites is a great way to gain targeted traffic, increase inbound links, and up your site’s page rank. However, the articles you submit must be original, meaning they’re not like anything that’s been posted on your website, blog, or elsewhere on the Internet; otherwise you’ll receive very little traffic. Let our team rewrite your articles to make sure they are original yet still on message, well written, and error-free.